To create a world that champions both the arts and sciences as creative outlets for developing well-rounded, passionate problem-solvers. Gique is an MIT-based nonprofit 501(c)(3) which exists to engage students in creative, hands-on curricula, experiments and activities that develop their passion and potential to succeed in science, technology, engineering, art + design, and math (STEAM). We believe all students deserve access to enriching opportunities and experiences needed to be successful in life, especially in underserved urban areas. We are committed to building the type of local and global learning communities that cultivate STEAM-powered innovators. We promise to elevate awareness of the importance of STEAM in public and charter education systems with all of our educational resources. We aim to uplift our students in ways that are culturally responsive, adapt to their unique needs, and are meaningful to their communities and everyday lives. By providing free, hands-on educational programs and mentorship to youth from diverse circumstances, talented young people in Boston learn the skills necessary to become culture creators, rather than just consumers. Gique is the only nonprofit that supports diverse learning styles by translating technical concepts through creative expressions that empower students to understand, enjoy and excel in STEAM education. “Study the science of art. Study the art of science. Develop your senses- especially learn how to see. Danielle Olson is a Ph.D. Student in Electrical Engineering & Computer Science at MIT and works as a Research Assistant in the Imagination, Computation, and Expressions (ICE) Lab within the MIT Computer Science and Artificial Intelligence Laboratory. Danielle graduated with a B.S. in Computer Science & Engineering from MIT in 2014. While at MIT, — in addition to founding Gique — Danielle served as an MIT Media Lab researcher, MIT Cheerleading Squad Captain, & first Student Ambassador to the MIT Office of Minority Education. Following her graduation from MIT, Danielle worked as a Program Manager at the Microsoft New England Research & Development Center. Danielle has also previously worked as Summer Program Coordinator for the MIT Online Science, Technology, and Engineering Community (MOSTEC) at the MIT Office of Engineering Outreach Programs. Phil is currently a Product Manager at Twitter Boston where he leads the Media Consumption team, building video technology focused on improving performance, quality and discovery. Previously, Phil was a Program Manager at the Microsoft New England Research & Development Center working on mobile device and application management, and a Co-Founder and developer at TempoRun. Phil is passionate about the intersection of art & technology, social equity, and inclusion & diversity. Ashli is a Boston native who enjoys combining her love for dance with her passion for STEM. She earned her Bachelor’s degree in Chemistry from MIT in 2012. While at MIT, Ashli performed and competed with several hip-hop dance teams throughout the Boston area. Since graduating, she has worked as a Process Development Associate at the Broad Institute's Technology Development Lab and is now pursuing her Ph.D. in Chemical Engineering at the University of Massachusetts at Lowell. At UMASS Lowell, Ashli is an ORISE Fellow working for the US Army, and her graduate work focuses on the development of nanomaterials. She continues to express her passion for dance in her free time, however, by teaching a creating content for Gique's Science Can DANCE! Program. Gique is fortunate to be located in Cambridge, MA, a hub of prestigious higher education, with a diverse pool of talented students who are passionate about both giving back and gaining real-world experience. We have had gratifying experiences in the past working with and mentoring volunteer college student interns. We are always seeking talented, hard-working candidates enrolled in local colleges and universities to join our Cambridge, MA, operations team as a volunteer intern. We are committed to fostering a program that is beneficial for both Gique and its interns: identifying opportunities within our organization for you to develop your unique skills and interests while working side-by-side with experienced mentors. Given the diverse backgrounds and professions of our team, we are very flexible and accommodating to the busy schedules of college students and have an existing infrastructure for working productively both in-person (at our HQ in the heart of Porter Square) and remotely (via Slack, Google Hangouts, and conference calls). There's usually delicious snacks and food involved at all of our meetings! Finally, we are also happy to provide confirmation of your service as part of any community service program requirements. We have selectively provided letters of recommendation and employment referrals for past interns who contributed exceptional work to our organization. Gique is also a proud nonprofit partner of Northeastern University's Civic Engagement Program (CEP), which aims to redefine scholarship by ensuring that students receiving Northeastern’s most prestigious scholarships not only excel academically, but have the opportunity to grow as civic-minded individuals who give back through service to our local and global communities. Gabby Paquette is in her 4th year at Northeastern University as a Health Science student. On campus, she is the Academic Chair for the Eta Kappa chapter of Kappa Delta Sorority, and a Senior Health Educator for Peer Health Exchange (PHE). In addition to teaching health education to 9th graders in underprivileged Boston Public Schools with PHE, she works to improve pediatric health as a Clinical Assistant at Boston Children’s Hospital. In the past, she has worked as a Medical Assistant and Scribe at a Washington Square Dermatology. Accompanying her passion for medicine is a passion for promoting personal agency through engaging and valuable education programs. Gabrielle Rabadam is a 4th year Chemical Engineering student and Northeastern University Scholar. On campus, she mentors on behalf of Science Club for Girls and heads the Northeastern Chapter of the International Society of Pharmaceutical Engineers as president. Gabby is currently working at Moderna in the Rare Diseases group on the application of mRNA gene therapies to metabolic disorders. In the past, she has worked at Ocular Therapeutix on their hydrogel protein delivery platform and conducted independent research in the Webster Nanomedicine Lab on the development of nanoscale drug release scaffolds. Beyond her technical research interests, Gabby is passionate about STEM education, distance running, and art as a tool for social change. 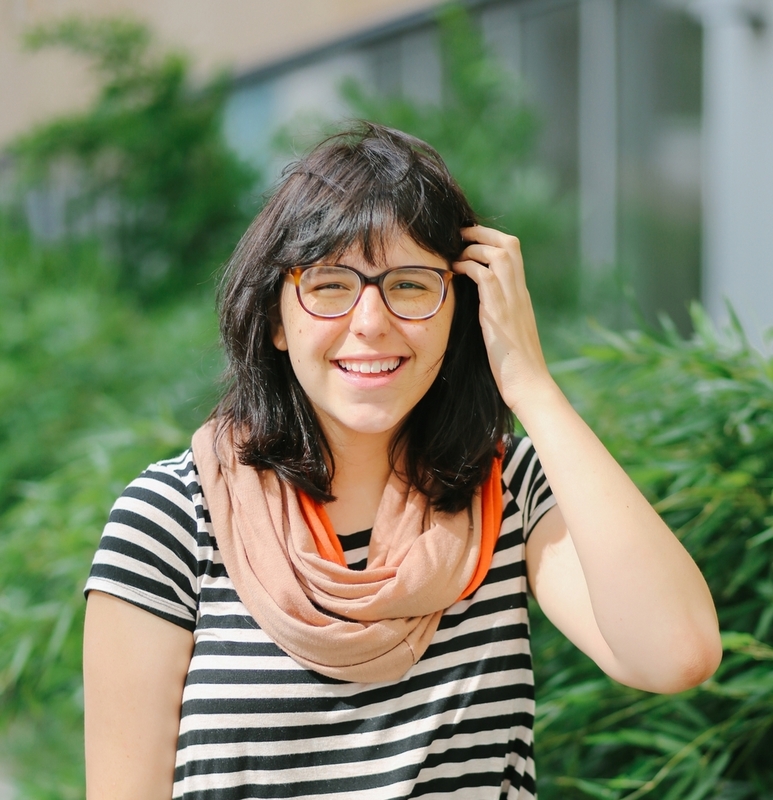 Vanessa Gregorchik is an undergraduate student at Northeastern University where she is studying Interaction Design. She is originally from Louisville, Kentucky, where she was involved with her high school's yearbook and several independent magazines. At Northeastern, she is looking forward to getting involved with the campus music magazine and design studio. She is passionate about photography and graphic design and using them for a greater purpose. Annie is an undergraduate student at Wellesley College where she is studying Environmental Studies and Environmental Engineering. She is from Laredo, Texas where she was actively involved in a local environmental organization and her high school’s drama club. She hopes to one day enter the fields of energy and construction. Her passions lie with with renewable design, environmental activism, sewing, and baking. Thank You To Our Advisors!